Hello there! 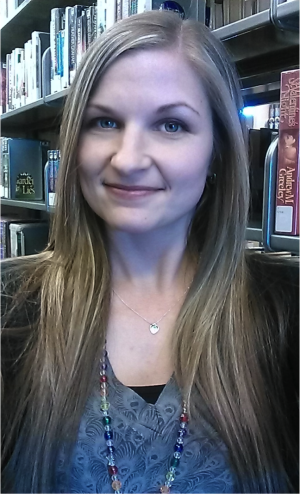 My name is Kristen Potter and I am a Library Technical Assistant at the DCPL! My areas of “expertise” include YA programming and storytime (Wee Read) with 0-2 year olds (variety is the spice of life, right?). On any given day, you can find me on the second floor helping patrons find material, at my desk planning programs, or perusing the children’s section for books to get little ones excited about reading. 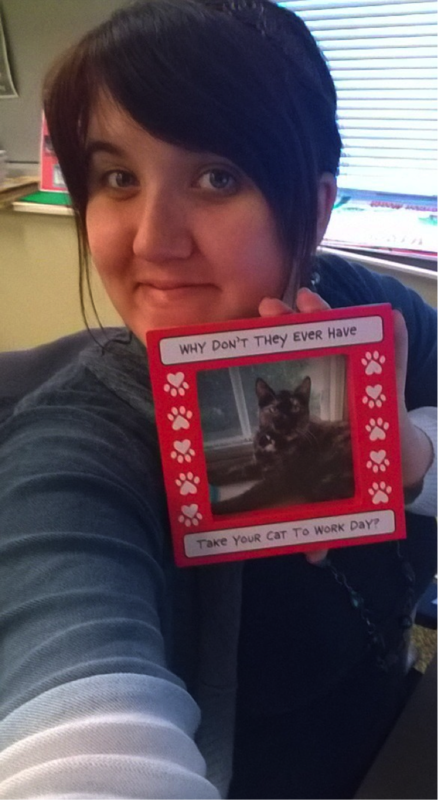 I LOVE working here – and I mean that! I get to express my creativity, act goofy, and occasionally I get to dress up in costumes and become a character from some of my most beloved children’s books. Hi there! My name is Lisa Maiden and I work at the Reference Desk on the first floor. I spend my days helping patrons use our computers, look up books, and find information. I also am responsible for the majority of the displays on the first floor. As much as I would love to make every display about cats, I realize not everyone has that special cat in their life like my Bella. So instead, I try to make the displays center on topics that will interest you, our amazing library patrons! Some of our past displays include money smart books, gardening books, books about traveling to national parks, and how to redecorate your house. And these change monthly so there’s always something new to sort through. So come on in and say hello. I’d be happy to tell you more about my cat or help you in any way I can!